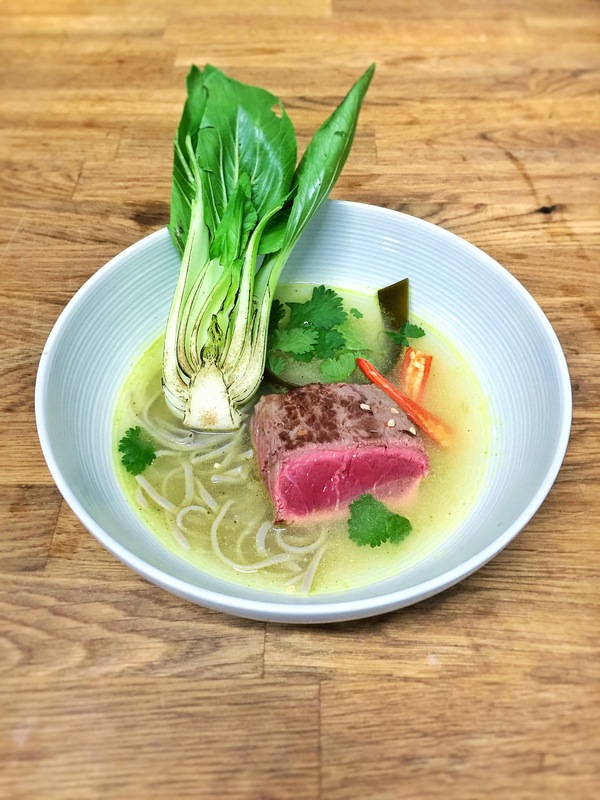 Before you start, this isn’t ramen in the proper ramen way, more of a broth with some things in, one of those things being a beautiful piece of seared sirloin. But as with real ramen, the key is the depth of the stock, so try and use a homemade one full of flavour, and when heating it up for the final dish, add in kombu, plenty of fish sauce, lime and lemon juice. It’s quick (well, once you’ve made the stock), nutritious and rammed with flavour.